The Focus Group is a requirement of the floodplain risk management process and is both the focus of, and a forum for, the discussion of technical, social, economic and ecological issues and for the distillation of possible differing viewpoints on these issues into management plans. The Focus Group comprises community representatives, councillor representatives, Council staff and State agency representation. Also, a technical sub-committee comprising the following members deals with technical issues related to flood risk management ahead of Focus Group meetings. 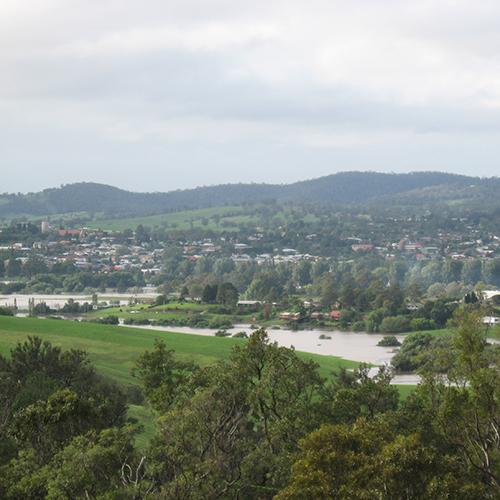 In accordance with Section 733 of the Local Government Act 1993, floodplain risk management in urban and rural areas in NSW is governed by the NSW Government’s Flood Prone Land Policy and its Floodplain Development Manual, the management of flood liable land, April 2005. Locally, the NSW Government policy is implemented through Council’s adopted Local Environmental Plan 2013 and Development Control Plan 2013..
Focus Group recommendations are purely advisory in nature as responsibility for planning matters lies with Council as a whole. The Focus Group’s principal objective is to assist Council in development of one or more floodplain risk management plans for the LGA. The resultant recommendations may necessitate review of Council’s existing policies when floodplain risk management plans are eventually adopted. Environmental concerns such as climate change and catchment management practices will be addressed through the diverse composition of the Focus group that include Council Planning and Environment staff, State Agency specialists such as the South East LLS and community representation. The Focus Group and its technical sub-committee will provide input for floodplain risk management and minimisation strategies for Council and community assets as part of the overall floodplain risk management process. Floodplains are the commercial, social and environmental arteries of the State. Transport and communication infrastructure are often located in floodplains which, generally as the more fertile areas, are a base for a significant proportion of the State’s agricultural business. Regular flooding enhances agricultural productivity by increasing soil moisture, recharging groundwater and depositing fertile silt across the floodplain. However, flooding can also interfere with production, communication, transport, emergency management and agricultural practices. Therefore development and management of floodplains needs to consider a broad range of issues including balancing the benefits of occupying the floodplain against the costs. Social/cultural concerns will be addressed through the diverse composition of the Focus group that include Council staff, State Agency specialists like the SES and community representation that includes LALC. Image gallery of some of the local rivers in flood.